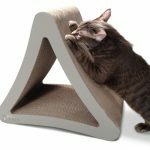 You are here: Home » Pet Blog » Cats » Why do Cats Knead? Cats behave strangely (at least to us human owners) all of the time, doing things that simply make no sense at all to us. Cats are truly interesting, unique creatures, displaying countless strange characteristics that are obviously uniquely feline. Perhaps the strangest activity begs the question – why do cats knead? In this sense, kneading is a process of ‘massaging’ cats make by pushing in and out with their front paws, usually alternating limbs. The term itself comes from the act a baker makes when he ‘kneads’ dough before baking bread. Some cats seem to knead with their knuckles as opposed to the bottoms of their paws. 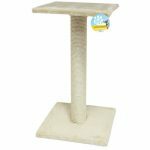 Cat kneading is a common feline behaviour, known to almost any attentive cat owner. Some cats will knead with their claws completely withdrawn, while others (to the uncomfortable displeasure of owners) will knead with their claws extended. Explanations for cat kneading vary, but it is undoubtedly an instinctual behaviour. Even today, no one knows 100% for sure why they do it. 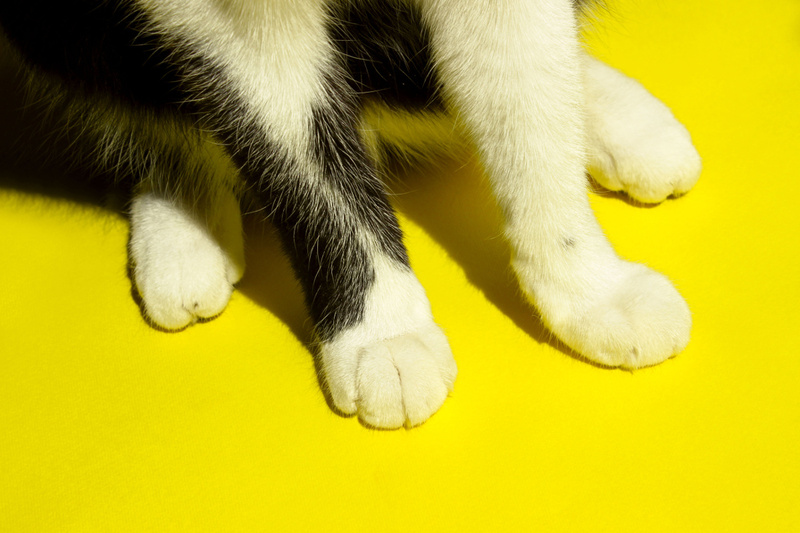 Cat kneading is almost always done on a soft, pliable surface, like a cushion, couch, or… your legs! Some people say cats knead to stimulate milk production. Then again, cats won’t get any milk from a couch cushion. Newborn kittens do knead their mother’s belly as they nurse. Some people think that cats who knead were separated from their mothers too early, although this is an outdated belief. Some cats knead just before they are about to take a nap. In the end, it’s most likely that cats knead simply because the behaviour is comforting to them, like a little child being comforted by her blanket. At this point, the better question should be ‘Why did the first cats knead?’. 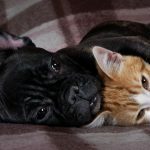 Whether it be a cat, dog, horse or cow, all animals perform instinctual behaviours that, though may not make sense now, once served a very real purpose. Even humans behave instinctively without realising it or truly understanding the reasoning for it. We are all simply genetically hardwired a certain way. In adulthood, a cat will supposedly knead when feeling comfortable. Cat kneading might actually stem from days thousands of years ago when early ancestors patted down tall grass or shredded leaves in order to create bedding for sleep or giving birth. If it doesn’t now, this behaviour probably served a much greater purpose at a time before the idea of domestic cats existed. They have evolved over time to enjoy this behaviour, which is why cats knead. Kneading was probably a very important aspect of feline lifestyle. There might be a much more straightforward answer to this question. Cats actually have scent glands on the soft pads on the bottoms of their paws, leaving a sort of ‘mark’ every time they rub something. Cats frequently rub their heads or torsos against objects in order to leave a scent and ‘claim’ them. It’s very possible that your cat is simply trying to mark his scent on you when he kneads you (or anything). This certainly makes more practical sense than the explanations above. Female cats are known to knead more often just prior to going into Estrus (heat). Kneading could be a type of display to male cats, or another way of leaving scent markings letting them know she is ready to mate. Cats are territorial predators, and scent marking is one very clear way to mark their territory. Did you know, unlike the common house cat who will bury his faeces in a litter box, large predatory cats will purposefully leave their droppings in certain areas to mark them? Today’s small house cat will instinctually try to hide this scent from larger predators. Declawing: Many cat owners are morally opposed to having their cat declawed, as this is a painful process for the cat involving the removal of bone as well as eliminating a means of defence. That being said, this is another possible solution. Is Cat Kneading Just a Form Of Stretching? Cats are natural yoga masters and love to work out all the kinks left over from napping. Think about it — if you have sore shoulders, it feels good to grab onto a surface and pull against it. Kneading is one of the many ways cats keep themselves limber … until the next nap. The fact that this is often done when the cat is happy/content lends to the relaxation belief. In the end, every behaviour a cat or dog performs these days has an instinctual backstory, but what is it? Cat kneading might just be a simple show of affection or gratitude, since many pets do it when around their owners and after/during petting. Of course, this isn’t always the case. 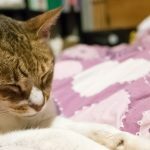 What am I doing when my cat begins to knead? What is my cat doing just prior to kneading? What time of the day does my cat knead most? Are there any other animals or people around constantly when my cat kneads? This is actually what animal behaviourists do in order to figure out why an animal is behaving the way it does. Remember, there are always reasons for everything our pets do!